Determining a deck’s tiering is a fairly simple process: take the decks that place in tournaments, compile them in a spreadsheet, rank them by population, done. This is a fine system, and is the only remotely objective way to determine the tier list. However, it doesn’t tell the full story because it can’t explain what exactly makes a deck Tier 1 or 3. The short and simple answer is power, but what exactly that means and how I think the metagame works is up for the debate, and the topic of this article. Last week, I mentioned that decks within a given tier are roughly equal in terms of power. Their positioning within the tier is a reflection of metagame trends rather than of their actual power. Going deeper, power is hard to directly determine, and largely contextual. There’s also the question of which tier a deck belongs to. Over years of watching decks rise and fall in the metagame, I’ve noticed some similarities and patterns shared by Tier 1-3 decks. It’s not about win rates or quantity of representation. In this era of scarce and unreliable data, grouping decks via data is questionable. When Wizards was still releasing all the MTGO data, we could absolutely and objectively determine tierings based on win rates alone. Since that is no longer possible, we need new methodology. My system is to look at the decks themselves and group them based on how, for lack of better terms, complete and powerful they are regardless of their current win rates. Everything rises and falls over time. I argue that only those decks that hang tough through the years really deserve to be considered tier 1.
it is more accurate to say that at any given point, a deck is more visible and popular while being better positioned than others. New decks attract attention and players away from established decks. This magnetism inflates their presence at tournaments. Once the initial surprise wears off, players learn how to play against it. If the deck has enough inherent power, it can maintain its position for a time, but the rest of the format will target and police it. Subsequently, if it has a unique niche, it will simply become part of the metagame in a tier equal to its power vis-à-vis the rest of Modern. To expand on this idea, I don’t know how good Izzet Phoenix actually is. I do know that it is very popular and has been successful since Arclight Phoenix was printed. Given its popularity, it makes sense that it would be successful. A higher starting population naturally means more decks placing highly. The real test will come in the next few months. Phoenix decks may still make Top 16 or better in tournaments, but that’s not winning the tournament. Such a development precipitated Death’s Shadow’s fall from the top of Modern in 2017. Compare this to Tron and Burn, which have always been and will always be. Burn just got some new cards and is especially popular. Prior to this development, it had been chugging along with a stable metagame share for years. Tron has frequently changed its splash colors and exact composition as the metagame shifted and hate was printed, but the central strategy always endured, and Tron now keeps putting up numbers. These consistent results are the measure of a true Tier 1 deck. To become and remain Tier 1 takes four things. The first is independent power: a deck needs to be powerful enough that it can contend with any other deck, regardless of the metagame. Once the cat is out of the bag and players know how to beat the deck, can it survive the scrutiny? If a deck is only good in specific contexts or when other decks aren’t present, it doesn’t have the power to remain tier 1. Similarly, it needs to be resistant to hate. Having hate against a deck doesn’t disqualify it, see also Burn, but if it simply folds to commonly-played hate, then the deck will fall off. On that note, the deck need needs resilience. If something goes wrong, it mustn’t just fail. Every deck has some fail rate, usually linked to mana screw or flood. That’s just Magic. However, if the opponent disrupts the deck, it needs to be able to keep playing the game. Tier 1 decks push through encountered resistance, and at least have a chance to win the game. Effective disruption will slow them down, but the deck still works. Third is consistency. A deck needs to deliberately do its thing in most games. Every deck has a god-hand; every deck has auto-mulligans. But the average hand will still do the thing that the deck is supposed to do, even if not very well. If a deck doesn’t do anything unless specific circumstances are met, it won’t remain Tier 1. Finally, it needs to be a finished deck. There’s no deck that can’t be improved in some way, whether through a new card or a metagame-specific tweak, but it is apparent when when a deck isn’t ready. It feels like a card is missing and/or the deck is just clunky. There’s something wrong with the strategy, and the grease or cog that would make the engine run isn’t present. More refinement may fix the problem, but it may also be a deck that’s waiting for a new card. If a deck has all these pieces, there’s one more thing it needs to be a real Modern Tier 1 deck: pedigree. It’s not enough to have some good results then fade away; a deck needs to continue to do so over a long period. Modern is weird in that the exact composition of the metagame constantly changes, but certain decks always seem to compete. Burn and Tron are excellent examples, but so are GBx and UWx. The exact composition of these decks and their exact place in Modern may change constantly, but the strategies themselves always endure. Taking the longer view, Tier 1 decks don’t need to prove themselves against any other deck. They’re simply good regardless of context. Grixis Death’s Shadow isn’t what it used to be. In 2017, it was considered a ban candidate. Now, whenever the namesake card does anything, it’s a cause for celebratory articles. To me, it looks like everyone has forgotten about the deck and assumes that since it’s out of the limelight, the deck is gone. But I think the deck is still just as good now as it was back then. The deck keeps winning and should rightfully be considered a Tier 1 deck. With continuing high-level wins over several years, Shadow definitely has pedigree. It’s a deck that quickly presents a large creature backed by a strong disruption package, so that ticks the first box. Despite all the attention, there was never a way to simply hate out or break Shadow. It had the tools to answer anything thrown at it, even though players adapted learned to fight back, so that’s the second box. It has the most cantrips of any non-combo deck and will fire off a lot of disruption in a game every time, so that’s three. Finally, while I could invent plenty of cards for Shadow decks, I don’t think it needs any. Thus, I will argue that even though Shadow isn’t the most visible deck anymore, it has clearly become Tier 1. Tier 2 is full of decks with great potential. However, something is missing that keeps them down. They’re typically finished decks, but that alone isn’t good enough. There’s nothing inherently wrong with the decks, but they don’t work right. Maybe there’s some power missing or the metagame isn’t right for them. These decks can be very good when the context is right, but it won’t happen consistently, so they’re dependent on other decks to make them good. With the right shift or printing, they’ll move up the ladder. Loath though I am to admit it, Tier 2 is Merfolk’s home and will remain that way for the foreseeable future. My fishy friends don’t really have holes in the gameplan or lack power, yet they only occasionally makes any waves in Modern. It’s had good runs and success, but hasn’t been able to maintain the momentum. Thus, it has to wait for its time to come, just like the rest of Tier 2. The problem keeping Merfolk in Tier 2 is twofold. First, the metagame is wrong. Merfolk was an underplayed good deck in 2015. URx Twin was everywhere and Merfolk had a very good matchup against it. Twin played Islands, so islandwalk was always active, and Harbinger of the Tides gave Merfolk an on-curve and in-strategy answer to the combo. When Twin was gone, Merfolk remained a good deck first because its matchup against Eldrazi wasn’t hopeless, and then because it could hang with Jund. The niche I found for the deck was as a grindy creature aggro deck thanks to the cantrips. However, grinding hasn’t been very relevant in Modern since Death’s Shadow entered the scene, so Merfolk’s advantage disappeared. The second, and linked, problem is that it’s not doing its own thing well enough. With grinding through removal being less relevant with GBx losing ground, the main appeal of Merfolk is as a low-evasion tribal deck. Blue isn’t as widespread as during the Twin era, so unless Spreading Seas is in play, the fish are just big beaters. This makes Spirits and their intrinsic flying more attractive. Staying on the ground, Humans is also a tribal deck that makes big beaters, but it has three advantages. First, Humans uses +1/+1 counters rather than static bonuses from lords. Removal doesn’t shrink an entire team, so the offense is easier to maintain through blockers. Second, it is primarily composed of disruptive creatures. Merfolk’s tools are limited to Cursecatcher, Harbinger, and Merfolk Trickster while Humans has Kitesail Freebooter, Thalia, Guardian of Thraben, and Meddling Mage maindeck with more options in the sideboard. Finally, Humans has some fliers too. Benthic Biomancer is a good card for Merfolk, but it just reinforces its grindy nature. The metagame needs to make a permanent switch back to pure attrition for that to matter. Unless that happens, the only way for Merfolk to leave Tier 2 will be a new card supercharges it over Humans and Spirits. I’m not sure what an actually printable card that would do that looks like, so I doubt it will happen. Tier 3 deck have big holes that need filling. In other words, they’re not finished decks. Maybe it’s because they’re too unrefined, the card they need doesn’t currently exist, or they’re too fragile to withstand metagame heat. Regardless, these decks have problems. They may have powerful cards and gameplans, but they lack the means to consistently unleash it in any metagame. Thus they’ll be stuck waiting for the stars to align. Mardu Pyromancer is the classic tier 3 deck that exploded then faded. At the end of 2017 it began blowing up on MTGO, then got some press and gained popularity. Early in 2018, the deck was everywhere. However, this popularity never turned into success. Despite its MTGO presence, Mardu never managed to crack the Top 8 of a GP, though it did Top 16 a few times. The deck then faded away, and I don’t see it with any regularity today. Pyromancer has several problems that contributed to its downfall. The first and most important was the deck was just clunky and slow. It was very good at disrupting the opponent, especially creature decks. Mardu is the wedge with the most creature removal and hand disruption. The problem was actually turning it into a win. Other than the eponymous Young Pyromancer, it doesn’t have threats that really stand on their own and can take advantage of all the disruption. There were a lot of games where my opponent won the attrition war, and then did nothing for the rest of the game, allowing me to come back and win. Also, Pyromancer is very vulnerable to graveyard hate. Other than its namesake threat, all the deck’s good cards needed to the graveyard to function. Faithless Looting and Lingering Souls are decent when cast, but their value and power here comes from flashback. Bedlam Reveler is a potent card drawer only when cast for RR. The deck doesn’t hold up well in the face of hate and doesn’t work through no fault of the opponent enough that it can’t really compete in Modern. Below Tier 3 exist the decks that don’t work in Modern. In a vacuum, there may be nothing wrong with them. The core strategy isn’t necessarily missing anything, and the deck may be doing something reasonably powerful. However, that’s not enough. Whether the problem is that the deck is too clunky, slow, inconsistent, or another deck does its same thing much better, the deck just isn’t competitive in Modern. This doesn’t mean that it cannot win, just that I wouldn’t expect it to happen. Anything can win, and never count out the ability of an enthusiast and master to make their deck work despite the odds. For example, I wouldn’t consider Taking Turns to be a real deck. It’s incredibly slow with a very high curve and reliant on a very small amount of interaction to not just die to whatever the opponent does. However, David Wong made of Top 8 GP Las Vegas 2017 and Top 16 in Hartford and Toronto since then. However, as far as I can tell, he’s also the only Turns player to win at high levels outside MTGO. He is a master of his deck and understands how to pilot it around his frequently-confused, and thus disadvantaged, opponents. He loves the deck so much that he fully foiled it with quadruple sleeves. That’s the level of commitment that it takes for an untiered deck to win. As with every deck, there is always the potential for an untiered deck to gain legitimacy. Before Supreme Phantom was printed, Spirits was a gimmick deck that I and few others played. Now, it’s everywhere. Similarly, Death’s Shadow was a gimmick in Suicide Zoo decks for years. Then, it finally attracted enough attention that serious work was put in and it became the menace of 2017. However, unless one of those two things happen, I would never recommend picking up an untiered deck with the intention of winning. New decks are always a welcome addition to Modern. However, just because a new deck is winning now doesn’t make it viable in the long term. 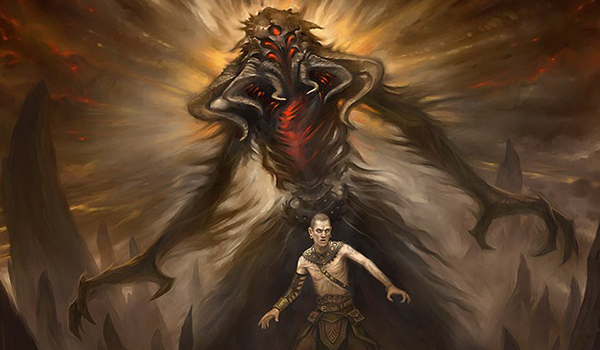 Eventually, Modern will adjust to the new deck, and the strategy will find its place. Perhaps that new hotness will be the next Grixis Death’s Shadow and have what it takes to stay competitive. Or maybe, like Mardu, it will prove a casual fling. Only time will tell where Izzet Phoenix actually belongs. Mardu Pyromancer did won a GP: GP São Paulo in 2018. In fact, the player never played with the deck prior to that moment. Huh, yeah I forgot about that. That came after the deck had started to drop off substantially, so I didn’t look that late in the year. And also Gerry T was a finalist of pro tour Rivals of Ixalan, if that isn’t a great accomplishment for the deck i don’t know what it is. However, I agree with you that the deck lacks something although it has great sinergies and at first glance it looks very solid. This kind of performance is characteristic among what this article defines as Tier 3 decks when they first crash onto the scene. While Mardu had been steadily putting up results online in the hands of one or two pilots, Gerry’s Pro Tour outing with the deck marked its first major transition into paper. Off the top of my head, other instances of this sort of breakout success for to-be Tier 3 decks include Death & Taxes at the SCG Invi a couple years back, Lantern and Grishoalbrand at GP Charlotte in 2015, and RG Scapeshift when Thien first dominated a major event. As someone who plays nothing but Merfolk, I can’t agree with classifying the deck as even tier 2. It’s been over a year since the deck the deck has published lists at a GP at this point. It is on upswing at the moment, thanks to a good UR Pheonix matchup, but you can’t classify a deck that just doesn’t have any tournament finishes at this point as tier 2. I am hopeful the new Modern Horizons set will have some fairly potent Merfolk in it, though. We’ll see what happens in the wake of that.